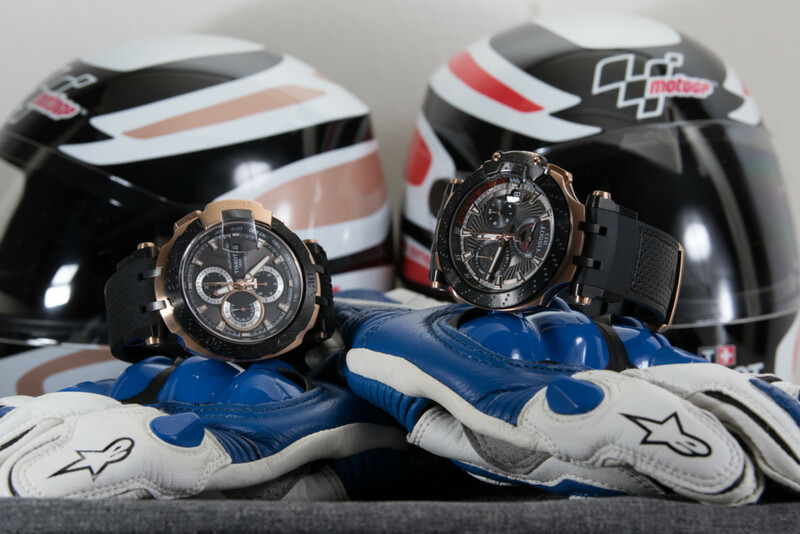 As a fan of sports watches and racing, I recently got the opportunity to review two versions of the Tissot MotoGP Limited Edition watches which were debuted earlier this year. The MotoGP T-Race LE is the more affordable quartz model, and the MotoGP Automatic LE is the pricier version with an automatic movement. Tissot has been a proud sponsor of MotoGP for the last 17 years and has been producing MotoGP inspired pieces since 2004. 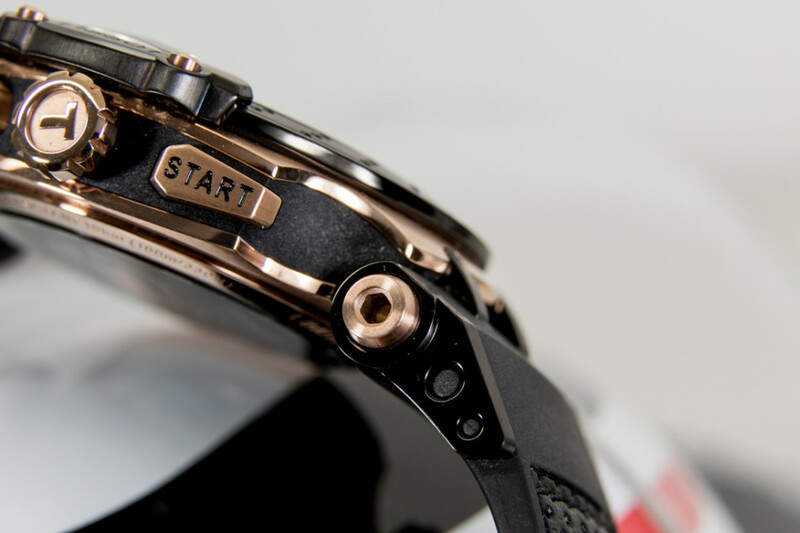 Every year there have been modifications and upgrades to the timepieces following the trends of the motorcycles and their technology on the race track. This follows the motorcycle industry’s trend of bringing as much technology from the race track to the public roads; “Race on Sunday, sell on Monday.” I believe this works for watch brands as well with the “Show on Sunday, sell on Monday” mantra. For you MotoGP fans, here’s a quick number quiz: Can you guess the racer to the corresponding numbers? 93, 4, 46, 99, 26, 12. For everyone else reading this, the following numbers may be much more beneficial: 43, 12.71, 22, 45, 15.98, 20. As a motorcycle fan soliciting the showrooms and drooling over the latest two-wheeled contraptions, I’m always drawn to the race replicas as well as the top tier sports bikes. On the other side of the spectrum (my financial spectrum), the same brands sell low powered bikes that wear the clothes of the race bikes but are 250cc entry-level machines. 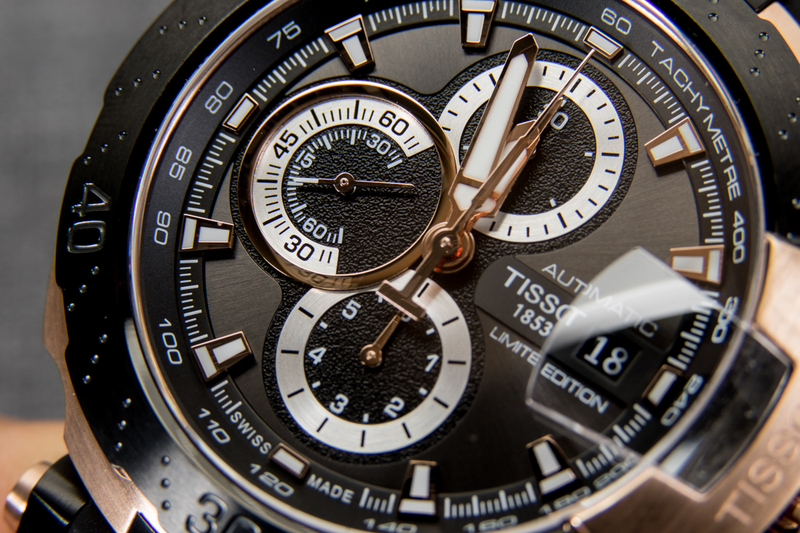 Watch brands aren’t much different and Tissot does this really well with both their MotoGP Limited Edition pieces. The MotoGP T-Race LE is a quartz watch with all the flair and looks of its bigger brother, the MotoGP T-Race LE Automatic (even the naming conventions are similar, i.e. CBR1000RR vs. CBR250R), but at a much more fan friendly price, and honestly, you don’t give up a lot. Both watches look near identical, as they come in a black and pale anodized gold (Ohlins inspired?) 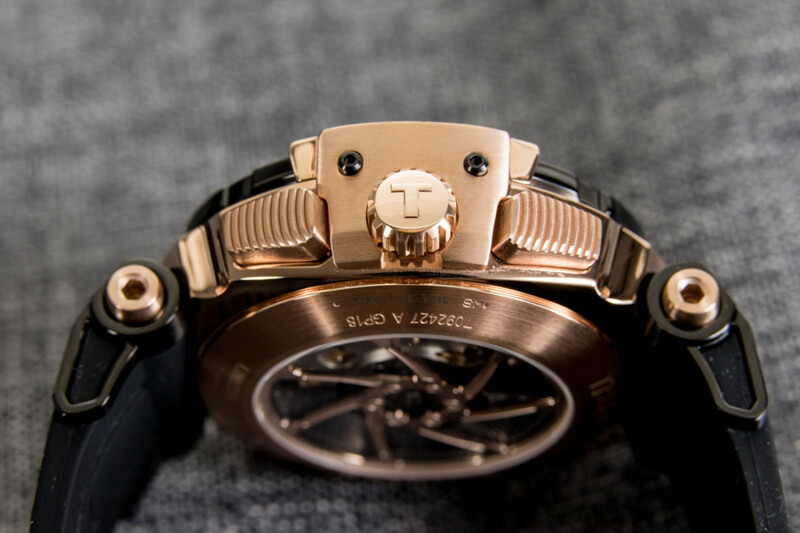 two-tone, with crown guards that mimic brake calipers, a floating lugless design where the straps link into the body of the case, and rubber straps. 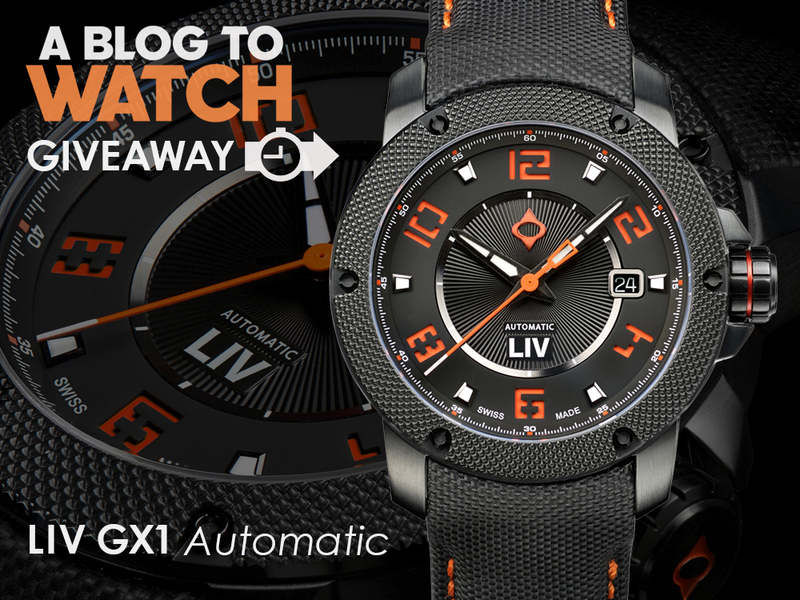 The differences, on the other hand, are minimal, but have a drastic effect on the overall feel and look of the watches. The quartz LE comes in a 43mm diameter case, with a height of 12.71mm and a lug width of 22mm, while the automatic LE has a 45mm diameter case, 15.98mm case height, and 20mm lugs. The automatic LE case was too tall and chunky for my liking as well as being too heavy for the sum of its parts. Also, if you thought some of the numbers looked wrong or mismatched, I’ll be getting to that a little later. 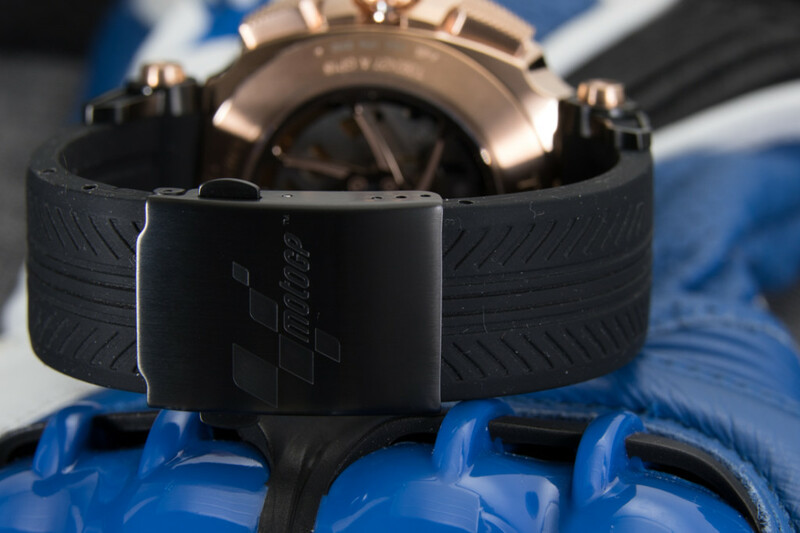 Aesthetically, both pieces have a lot of influence from motorcycles such as the floating lugs resembling rearsets, bezels designed to mimic drilled brake rotors, knurled pushers as foot pegs, and rubber straps stamped with tire tread patterns. The quartz and automatic versions both have most of these design cues, albeit the more expensive automatic doesn’t always have the better-looking parts. The dial and its subdial configuration on the automatic version is classic and highly legible, if not a bit too standard. The gold ring around the seconds subdial at 9 o’clock is a great element to draw you into the only visually moving part of the whole watch when in static operation and gives a slight 3D effect, making it pop. The minute and seconds hands have appropriate lengths, but the hour hand seemed short for the dial size. The broadsword styled gold hands with white lume against the white, gold, and black dial made it slightly hard to read at a glance and required me to stare at it an extra second or two to read the time; they almost have a camouflage effect. 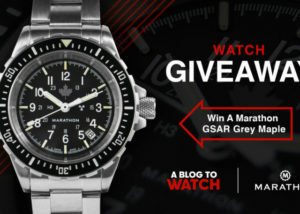 The tachymeter chapter ring is standard and legible, but again leaves more to be desired. Excitingly, the quartz LE seems much more energetic and lively with its red pops of color, graphic motifs, and better legibility. The dial is actually smaller, but seems roomier and spaced out with just the right amount of negative space. Nevermind the weird black sipes on the dial face which probably transferred from the entire visual of a machined brake rotor, and the subdial configuration looking like a fidget spinner. All the hands seem properly sized and are legible against the mostly black background. The subdials are less finished but are interesting to look at versus its automatic counterpart. Namely, the seconds subdial has half of its markings in red with red and white points on opposite sides of the subdial second’s hand. Lastly, the tachymeter chapter ring gets a nice splash of red from 12 o’clock to 3 o’clock. Why must watch companies insist on putting bulbous magnifying windows on their watches. It disrupts the flow of the watch having a big mound protruding from the glass. Had a friend who messed up the glass his 1 month old date-just by swinging his arm near a railing and if it wasn’t for the magnifying window sticking up about 2-3mm it wouldn’t have caught. Dislike both. Too busy, too big. Magnifier takes up too much real estate on the crystal. Gaudy, in your face, borderline disturbing. 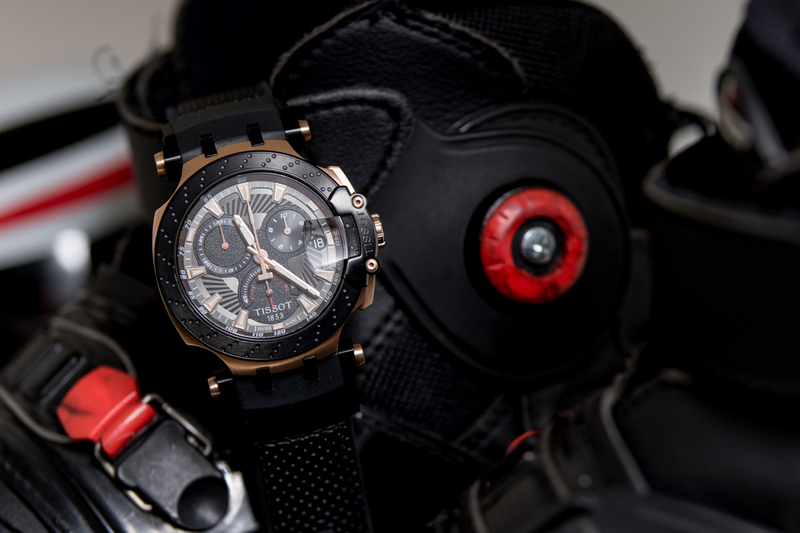 I thought these big, complicated, macho – it’s a watch for bikers, type watches were going out of fashion faster than light. But how good was Phillip Island today? !